Washington’s Birthday is a federal holiday, originally established by an Act of Congress in 1879 and celebrated on the third Monday of February, in honor of George Washington, the first President of the United States. The holiday is widely known as "Presidents Day" often to celebrate other, if not all, presidents. In 2014, the holiday falls to February 17 due to the Uniform Monday Holiday Act. Washington's actual birthday is February 22. I present this maxi card showing the Washington Monument, an obelisk on the National Mall in Washington, D.C., to mark this occasion. The Monument was built to commemorate George Washington. 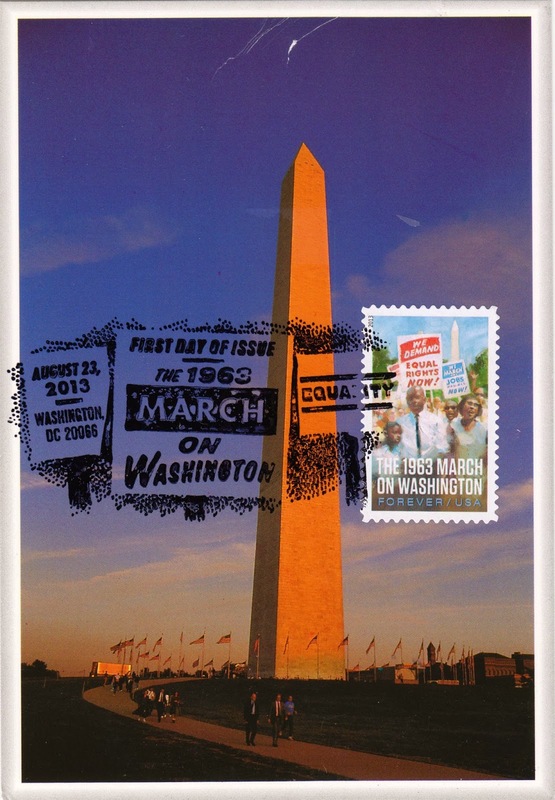 On August 28, 1963, a massive crowd marched by the Monument en-route to the Lincoln Memorial for the "March on Washington" rally.